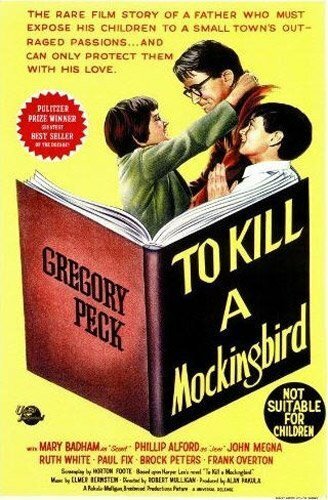 I know I'm not the only one heartbroken to hear that Atticus Finch has turned into some sort of bigot in the just released Go Set a Watchman, Harper Lee's sequel to To Kill a Mockingbird. My decision based on the news? Not gonna read it. Seriously. I know I'm behaving like an old ostrich, sticking my head in the sand but I have no interest in seeing Atticus Finch travel down that narrow-minded road. 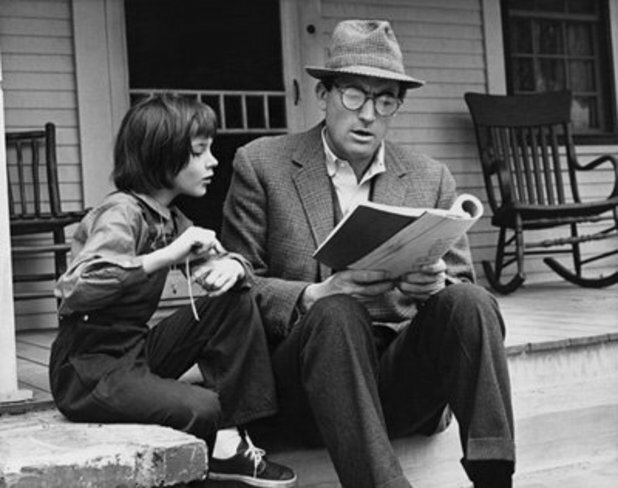 For me he'll always be Atticus as portrayed by Gregory Peck in today's movie for a #ThrowbackThursday. I refuse to sully Finch's good name. Stubborn and possibly fool-hardy, I know. 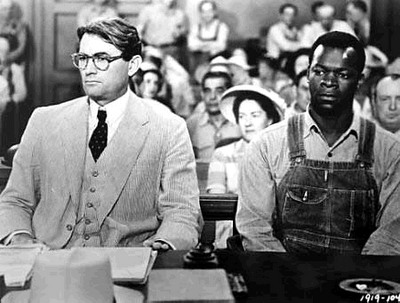 You might say I owe it to the book to read how Atticus came to see things so differently, to see exactly which form his racism would take. I couldn't care less. We have enough real racists remaining in the world, we don't need another hero made ugly and small and full of hate. You want ugly, small and full of hate? Read a newspaper. Watch the news. Me, I'm keeping the original vision of Atticus in my head. Gregory Peck won the Academy Award for portraying the humane, deep-thinking lawyer in a small town full of small minds while Horton Foote's screenplay adaptation earned the film its second win. 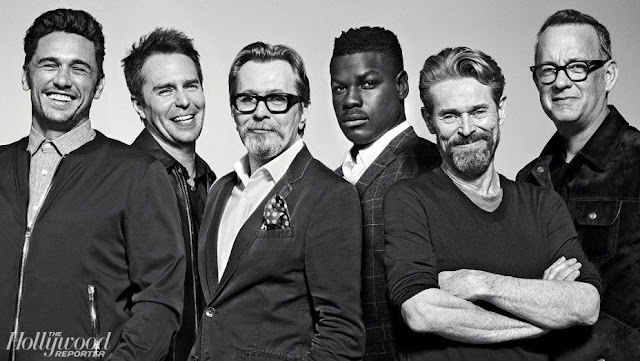 The film also took home a trophy for Best Art Direction for a black and white film. That was back in the day when they had separate categories for color films, which Lawrence of Arabia won. 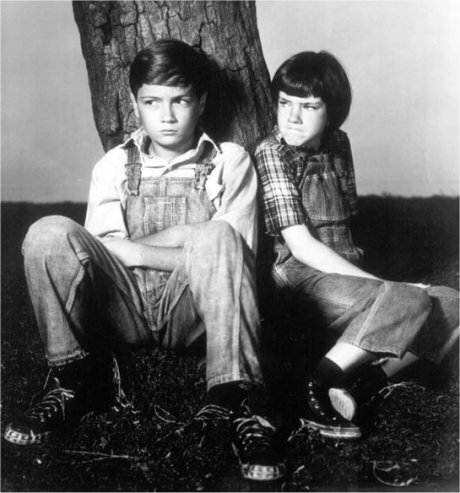 Lawrence also won Best Picture that year, although over fifty years later, To Kill a Mockingbird remains the more beloved and important movie, certainly to Americans. Stream To Kill a Mockingbird on Amazon, Google-Play, Vudu and iTunes. What do you guys think? Am I dead wrong? 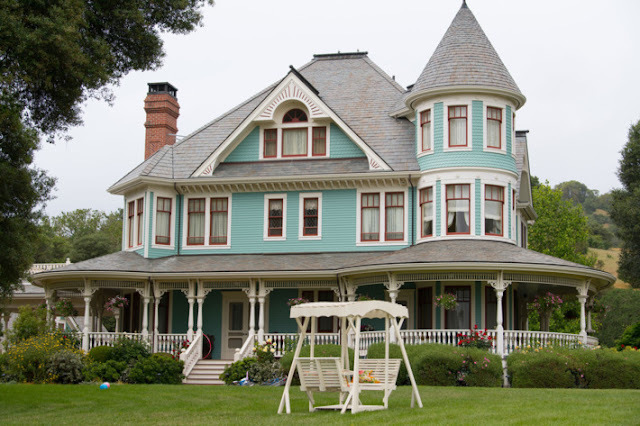 Should I give Go Set a Watchman a chance? Here's the trailer; don't forget to expand it for max viewing, especially since this one ends with several blurbs. One of which says, contrary to the poster's warning: Bring the children.